Shell Pave | Concrete Pavers - Tile Tech Inc.
Tile Tech’s Oceanic-Series™ Pavers combines the natural elements of the sea with the latest manufacturing techniques to produce a truly breathtaking and highly durable architectural paver, used in pool decks, courtyards, plazas, drive ways, walk ways and roof decks. 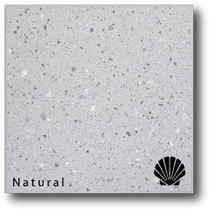 Shell-Face™ pavers are produced using a proprietary cementitious mixture of natural fossil shells and other aggregates which vary from piece to piece and are designed to replicate the appearance of natural stone. An enhanced manufacturing process applies tons of pressure to each unit, fusing the aggregates and fossils together which simulates a natural occurrence. This unique process ensures a more durable product with high compression strength and low water absorption qualities thus providing an alternative to the use of natural stone. Engineered to serve as a green alternative that helps alleviate the disadvantages associated with mined stone. The shells and other marine fossils that form the design foundation are natural fossil waste products derived regionally and internationally. Give your design a look and feel like no other paver. 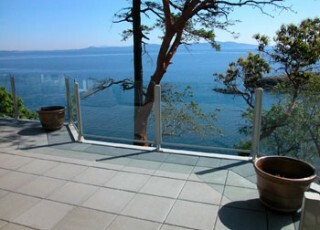 These seashell pavers have a ground and shot blasted finish to insure a beautiful and slip resistant surface. Shell-Face™ pavers are available in an unlimited choice of colors and mix designs transforming any pool deck or paved area into a natural looking paradise.